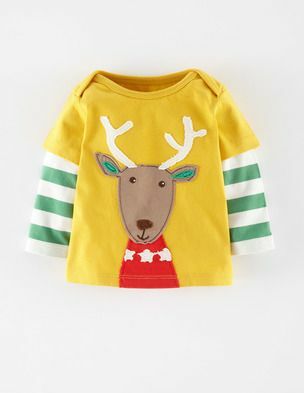 Great fun green reindeer jumper. 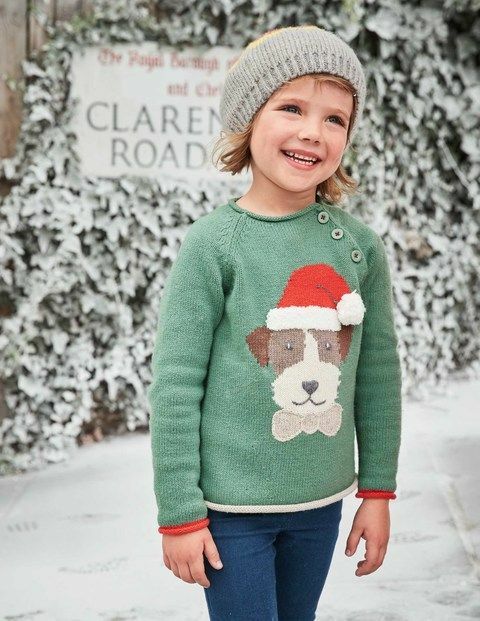 Sizes for 3 months to 6 years. We love these matching t-shirts. 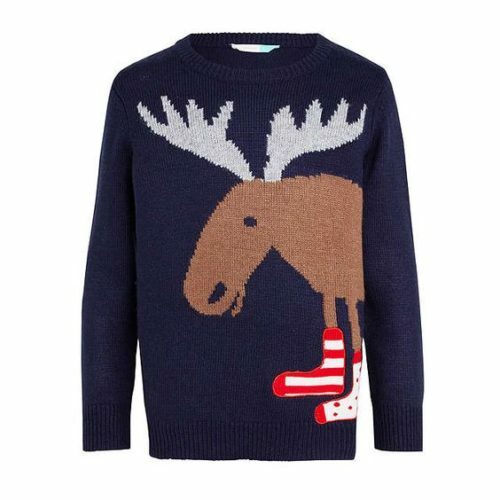 Easy to pop on for a bit of festive fun but you don’t have to overheat in a big, thick xmas knit. They’re going to be much easier to chuck in the washing machine too. 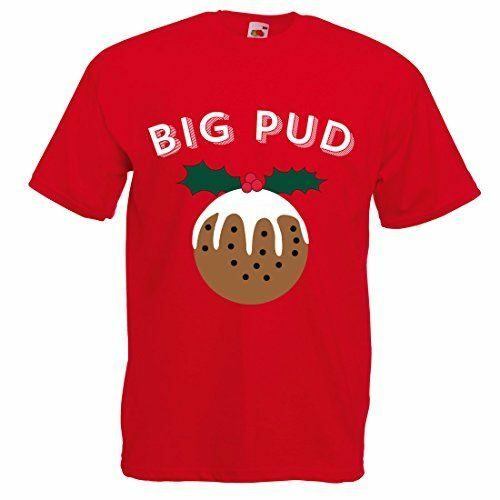 See the Big pud t-shirt or Little pud t-shirt on Amazon. 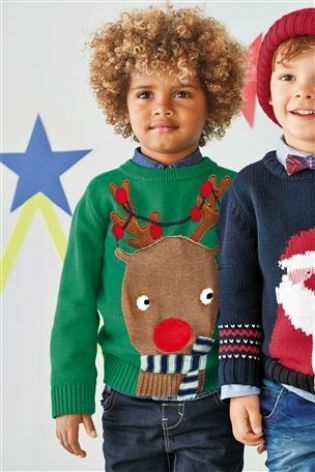 They even do a matching father and Baby pud baby grow!